In the postwar years, Compania Maritima stressed routes going to southern and western Mindanao (because ships going to southern Mindanao dock in Zamboanga first). It was easy for them since they had liners bigger than former “FS” ships, a luxury not available to their competitors and they had more ships (which is needed since the route were long and takes time to come back). That period Compania Maritima was the biggest shipping company in the Philippines and half of their fleet were big ships. In terms of big ships, they then had the most in the country. Most ships running the southern Mindanao routes were former “FS” ships which were once small cargo ships of the US Army in World War II. 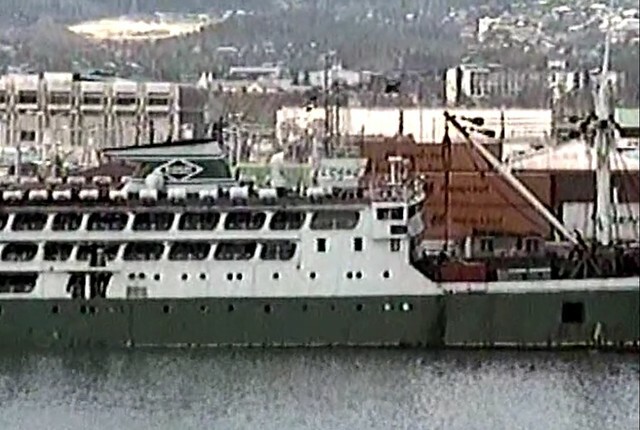 In those routes, Compania Maritima were using former passenger-cargo ships from Europe and there was a whale of a difference between those and the former “FS” ships. The extra space and speed matters a lot and smaller ships were simply more bouncy in inclement weather or when the monsoons are blowing hard. Their competitors William Lines and Go Thong were just using former “FS” ships in the route and in the case of the latter it was even using lengthened ex-”F” ships. PSNC (Philippine Steam and Navigation Co.) meanwhile has mixed ex-”FS” and ex-C1-M-AV1” ships in the southern Mindanao routes. In 1955, when Everett Steamship’s duo of brand-new luxury liners which were sister ships arrived, the Legazpi and the Elcano, PSNC withdrew the former “C1-M-AV1” ships in the Davao route (Everett SS was then operating through PSNC in partnership with Aboitiz Shipping Corporation). Compania Maritima was dominant in the southern Mindanao routes because their ships were simply bigger, better and faster. Their only worthy competition were the Legazpi and Elcano but still their ships which were former European passenger-cargo ships were bigger than those and has more cargo capacity, an important feature then since more cargo meant more revenue. In those routes to the south, Compania Maritima followed what was in vogue or normal then, that is the ships pass so many intermediate ports (as in up to six) and Cebu or Iloilo will be one of them. 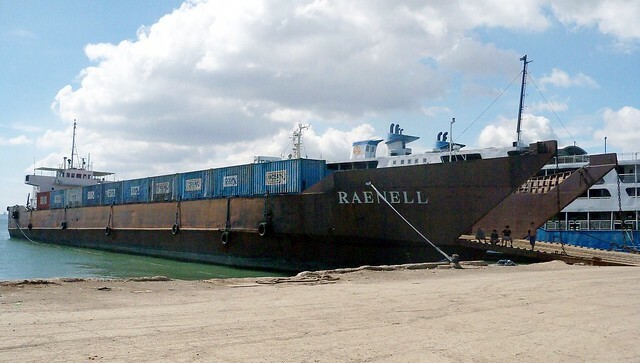 The ships will then dock in other Visayan ports like Tagbilaran, Dumaguete or Pulupandan or northern Mindanao ports like Cagayan de Oro, Iligan or Ozamis, among others. In the early ’70’s, Sweet Lines pioneered the route through the eastern seaboard of Mindanao. But just the same their ships docked first in Visayas ports. That was the reason why ships then took nearly two weeks to complete a voyage and two ships had to alternate in serving a route to southern Mindanao so a weekly schedule can be maintained. Most had Davao as end port and some had Gensan as end port. Those still going to Davao usually docked also in Gensan (it was called Dadiangas then). A few ships had Cotabato as the end port (it was actually the Polloc port in Parang, Cotabato). However, in 1976, the new paradigm, that of fast cruiser liners came also to Mindanao. Bringers of it were Sulpicio Lines with the Dona Ana and William Lines with the Manila City. These fast ships only took three days to Davao compared to the six days of the liners before. 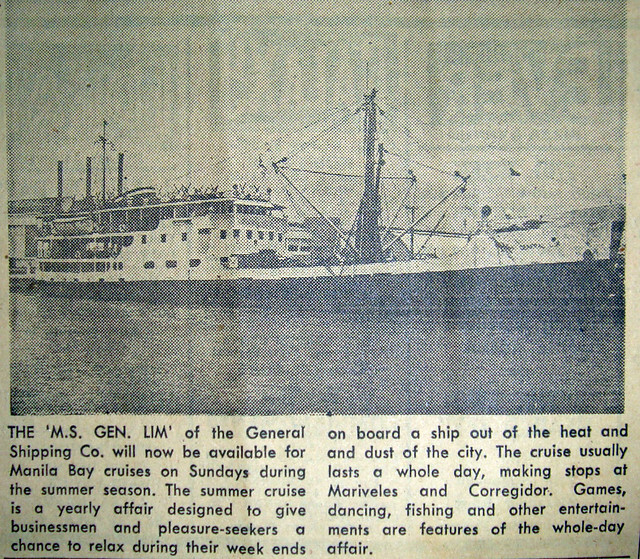 These new ships only had one intermediate stop, Cebu for Sulpicio Lines and Zamboanga for William Lines. Fast cruisers of that era meant a ship can do 18 knots sustained. These fast cruisers had prompt departures and usually they will arrive at the posted ETA. 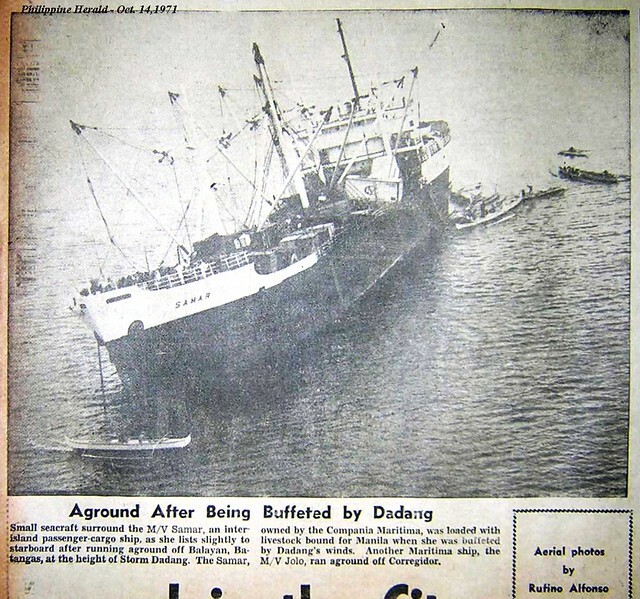 Aside from the Dona Ana, Sulpicio Lines also introduced small passenger-cargo ships with direct Davao sailings and these ships only took five days for the voyage. 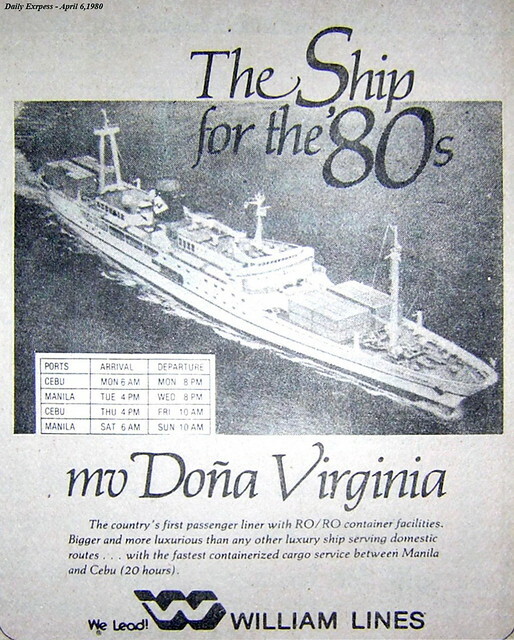 In 1978, Sulpicio Lines introduced the fast cruiser liners Don Enrique and Don Eusebio to Southern Mindanao routes. Even with these fieldings, Sulpicio Lines and William Lines maintained their old ships with multiple intermediate ports which took six days and with two ships alternating. But passengers who can’t afford or who don’t want to take the plane suddenly has a faster and more luxurious passage. These moves of Sulpicio Lines and William Lines put a lot of pressure on the other operators. These new liners of Sulpicio Lines and William Lines, being fast and taking fewer days forced changes in the sailings of the other companies. Sweet Lines then assigned three ships rotating to the Davao route and by using the shorter eastern seaboard route and with just one intermediate port was capable of reaching Davao in 4 days. Sweet Lines cannot match Sulpicio Lines and William Lines because they have no fast cruiser liners (they will try to match in 1983 when they acquired the fast RORO liner Sweet RORO 2). The combined Carlos A. Gothong Lines Inc. (CAGLI) and Lorenzo Shipping Company tried a new tack. They simply dropped passenger service to Davao and offered direct cargo sailings (hence, their ships can almost match the sailing times of the Sulpicio and William fast cruisers). Aboitiz Shipping Corporation meanwhile had already dropped Davao and Gensan even before and their ships were sailing up to Pagadian only (which they will also relinquish and abandon southern Mindanao). The other liner companies were not involved in this battle like Escano Lines, Negros Navigation and the minor liner companies because they had no southern Mindanao nor western Mindanao routes even before. Compania Maritima which like the others used doubling of ships to Davao or Gensan also used the approach of Sweet Lines, that is to triple the ships in a Davao route so their sailings time will be reduced to four days. Their ships are faster than Sweet Lines’ but although they pruned the number of intermediate port they really can’t bring it down to just one port (so they are not faster to Davao than Sweet Lines). 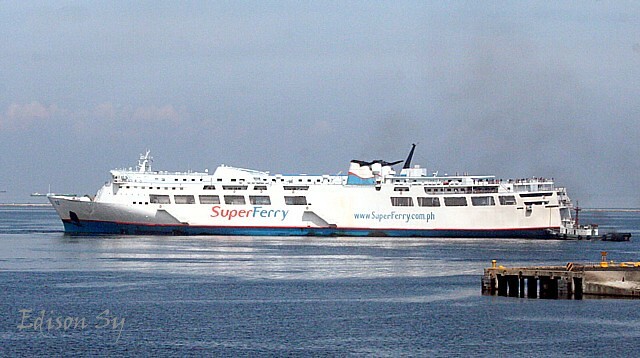 By this time Compania Maritima was already using their best and fastest ships to the Davao route and their next echelon of ships were also doing the other southern Mindanao routes. With this tactic Compania Maritima had a very thin coverage of their old northern Mindanao and Eastern Visayas routes. If Compania Maritima thought they can hold fort with this tactic they were sadly mistaken. In 1978, Aboitiz Shipping Corporation boldly came back to the southern Mindanao routes with its container ships, a new paradigm in Philippine shipping and they were offering direct sailings which means no intermediate ports. With that they can offer a faster (than Compania Maritima and Sweet Lines) and more secure shipping of goods with less damage. William Lines and Sulpicio Lines, not to be outdone, matched this new offering of Aboitiz Shipping Corporation the next year and this was followed soon by Lorenzo Shipping Corporation. Not to be left out was the new Sea Transport Company, a pure cargo company which offered direct container services to southern Mindanao even ahead of the national liner majors. As mentioned before, Sweet Lines also followed suit with a fast service to Davao with the Sweet RORO 2 in 1983. 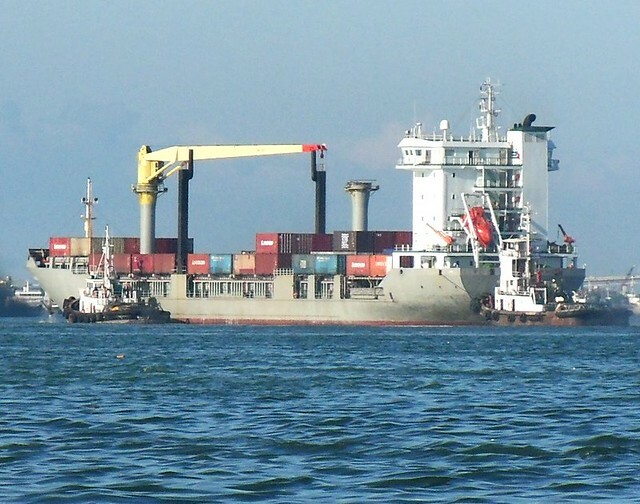 If Compania Maritima was also strong in Cebu cargo before, by this period the national liner majors also had direct and dedicated container ship sailings to Cebu. Cargo is actually the bread and butter of shipping and since Compania Maritima never invested in container ships in due time they were already badly outgunned. Their competition already had fast cruiser liners and it had containers ships too, both new paradigms that Compania Maritima never possessed and they were still stuck to the old cruisers and old way of sailing. I don’t know if Compania Maritima ever thought of getting aboard the new paradigms. Whatever, events soon decided things for them. President Marcos’ grip on power was loosening, his health was deteriorating and soon Ninoy Aquino was gunned down in the airport in his return in 1983. Political crisis and financial crisis were soon raging in the land, the peso was sinking very fast and production and trade suffered. Even prime companies were tottering on the edge then because of crushing debt loads when lending from the banks was nearly impossible. In this period, even the local operations of the major car assemblers collapsed – Toyota, Ford, General Motors. Other big companies were closing shop too. The next year Compania Maritima’s answer to the crisis became known to all. They simply ceased operations too like the motoring majors and soon their dual-citizen owners were on their way back to Spain. Compania Maritima’s ships were laid up but soon they were sold to the breakers one by one. 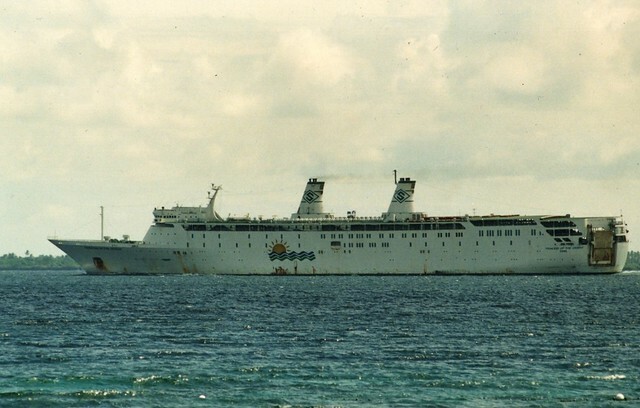 By 1988, none of Compania Maritima’s ships were still existing. And that was how the old and long No.1 in Philippine shipping ended its life.